Cold laser therapy is the newest innovation in pain control. 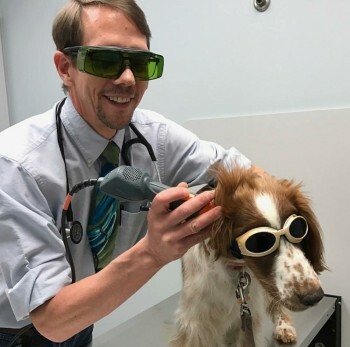 There are many theories as to why cold laser therapy works. First, the laser may increase blood flow to the area being lased. This allows cellular byproducts of metabolism, like lactic acid, to be removed from the area better. This results in better pain control. Second, it can paralyze certain cellular functions in the “C” nerve fibers. These fibers are the thinnest of all of the nerve fibers. They are also the fibers that conduct pain impulses to the brain. If they are paralyzed, then the pain impulse is not transmitted to the brain as well. If the brain does not get the signal, then pain is not perceived. Cold laser is also used to stimulate acupuncture points, especially in patients that do not accept needles. Laser therapy is usually done fairly often. The treatment plan may involve 2 to 3 visits per week, to begin with. The cost of the treatment is very economical and package plans can be set up. We also combine this therapy with other treatment types to increase efficacy.